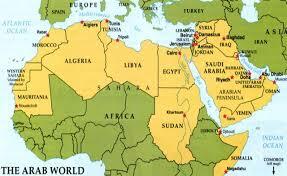 Israelis or friends of Israel barred from host of Arab countries. Can you identify Israel with a magnifier? While that might sound like objections to so-called occupation of West Bank and Gaza, it is not a document from 2015 or 2005 or 1995 or 1985 or 1975 or 1965 or 1955. Primary Boycott – Products and services that originate in Israel. Secondary Boycott – Businesses in non-Arab countries that do business with Israel. Tertiary Boycott – Businesses shipped or flown to Israeli ports. Our so-called Israel influence groups, funded by antisemites in Europe and Washington D.C., should publicize the Arab League origins of BDS, the reasons that Arabs wanted to destroy Israel before it was created, and 22 years before the 1967 war vaunted as reason for BDS. Such truth of Arab unity to Boycott and Destroy would expose their insane narrative that West Bank and Gaza residents are victims of evil Jews. The human boycott also cuts harshly. How can anyone with even half a brain not think this is profiling and hateful, designed only to destroy a nation they have despised both before and after its creation. Millenials particularly haven’t a clue about the history of the real agenda of Arabs. That’s what makes the campus movements so sad. These kids are just perpetuating the old libels, and have become tools of these old hateful regimes. Unlike the non-Jewish folks during WWII living downwind from Auschwitz…turning a blind eye and feigning surprise at war’s end, these kids are so far away from the reality of the hatred, they don’t realize their “news” sources are tainted.